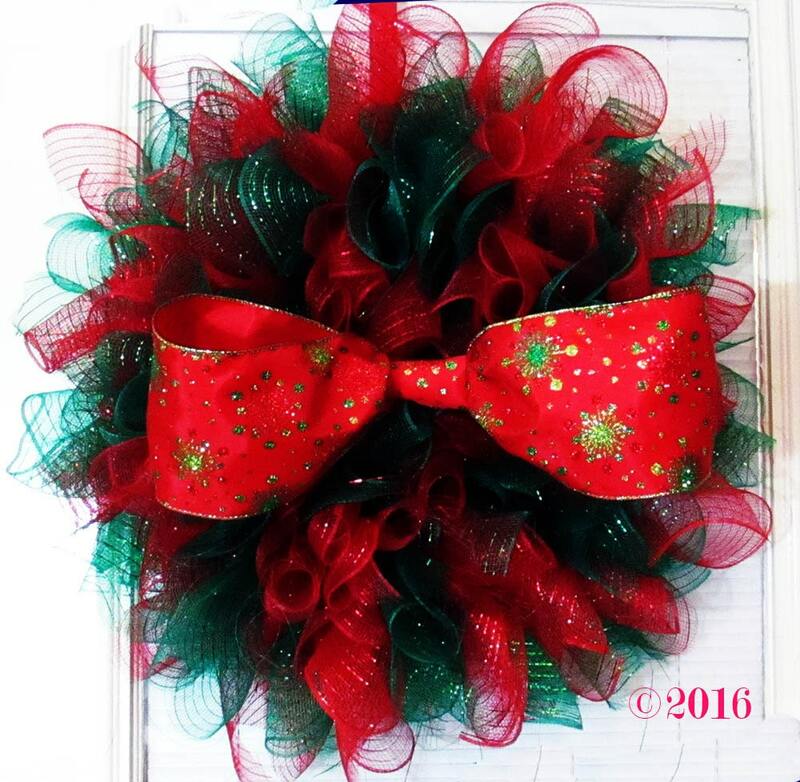 Our lovely rich green and vibrant red deco mesh wreath is streaked with shimmering metallic strands that really make it stand out! 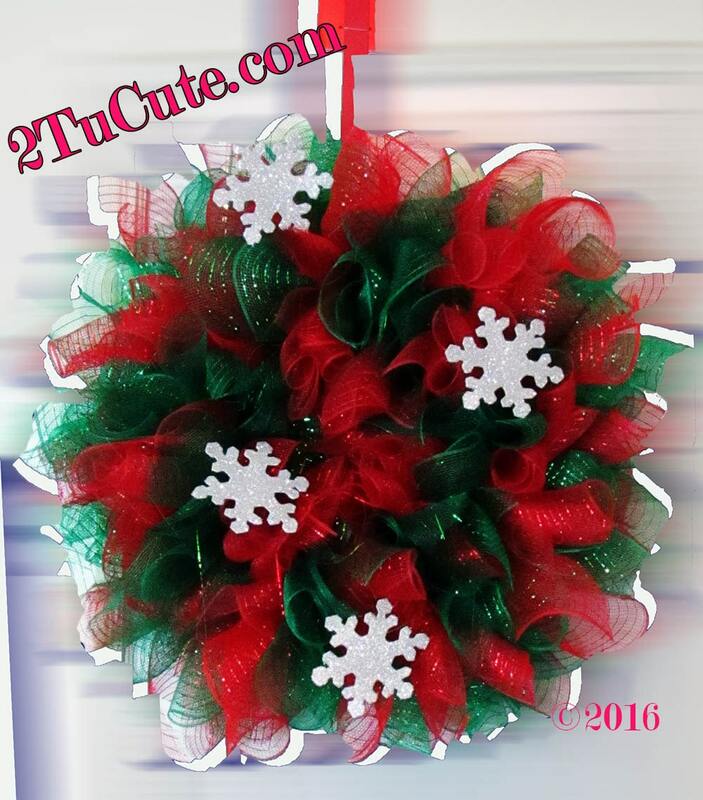 You can have embellishments added or leave your wreath with mesh only. Message us your preference and we will do all we can to accommodate your request. 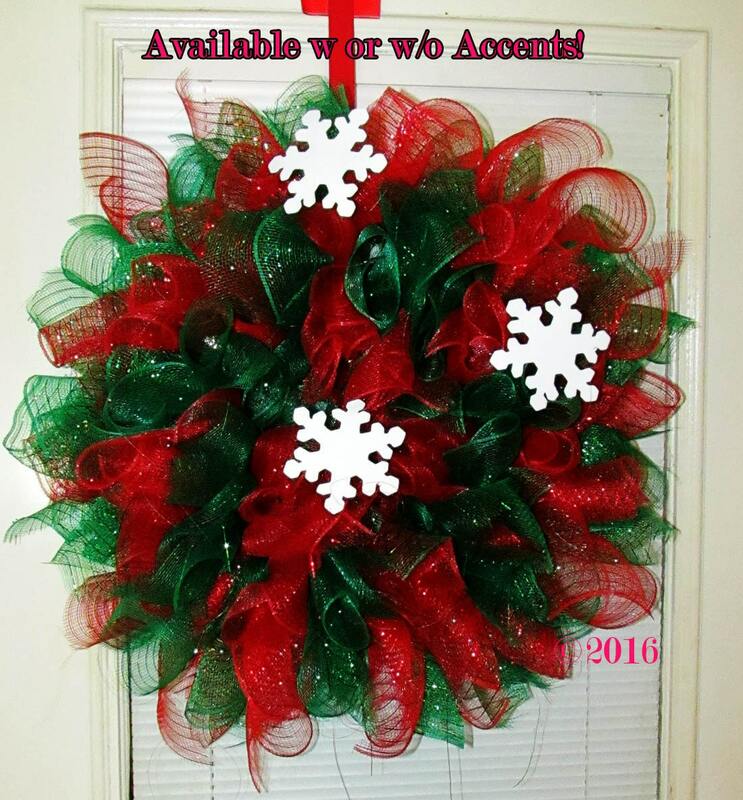 If you are purchasing more than 2 Wreaths please contact us directly so we can gather your shipping info for a more accurate shipping rate! 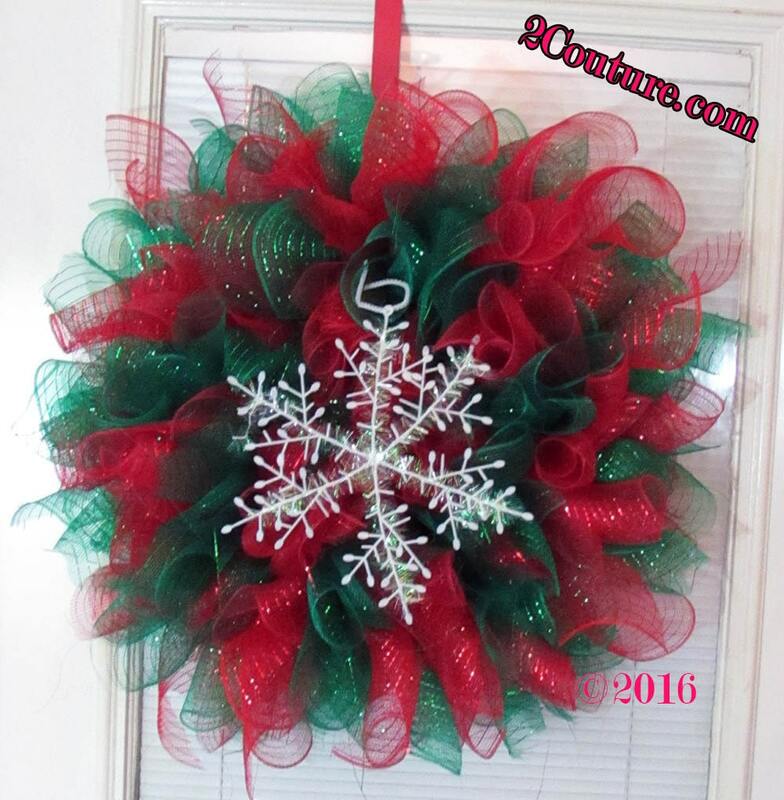 Created on a 14 ¼”* wire wreath which becomes larger with the mesh. Lights and Christmas themed charms can be added. 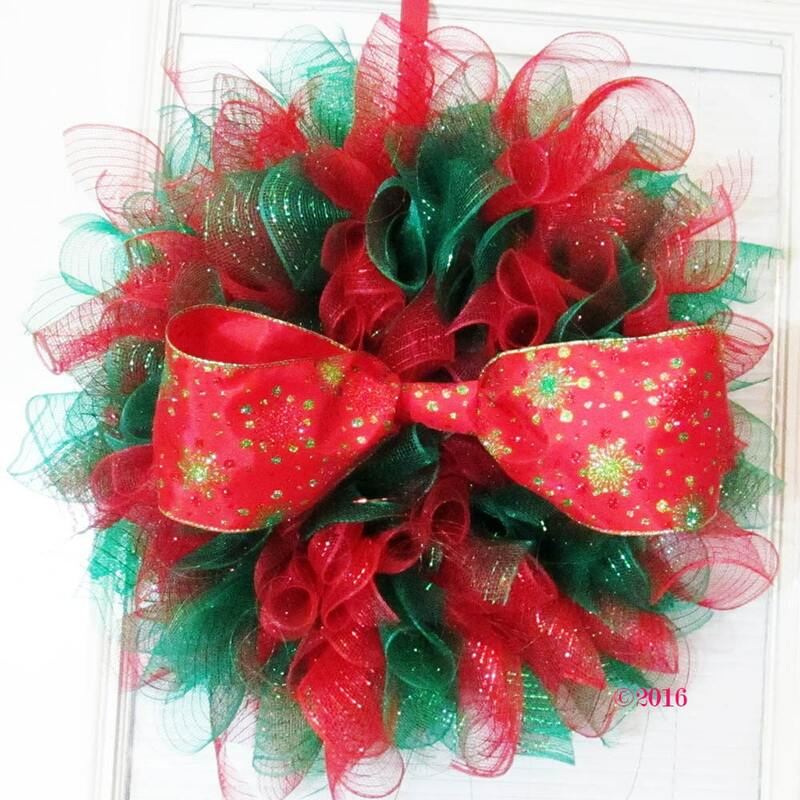 Please note: If variation is chosen for large bow, you will receive enough wide ribbon to create a lovely bow yourself, we have noticed too much damage to large bows when shipped ready made. Lights offered are battery powered.